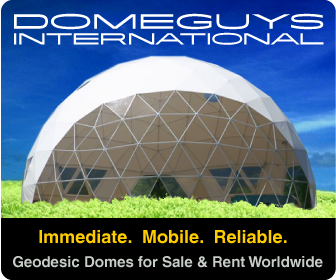 ← Monolithic Dome Instead of a Geodesic Greenhouse? 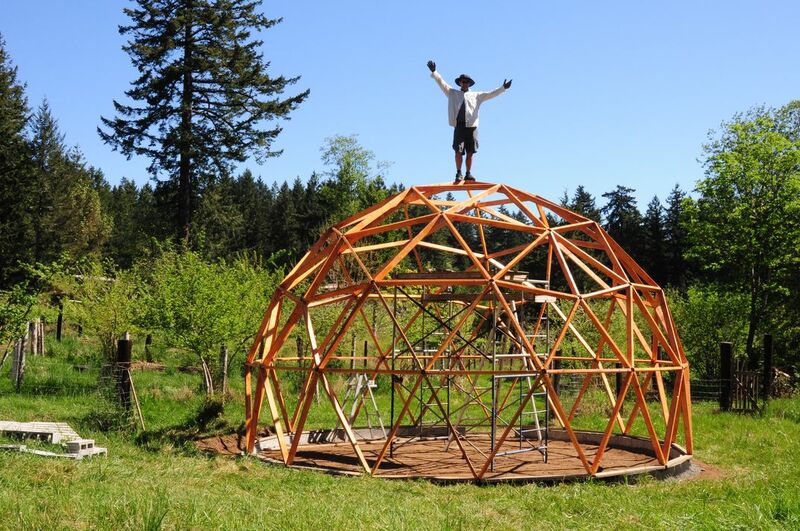 Can Anyone Build A Geodesic Greenhouse Dome? Good news! Yes you can, even if you have never built any thing in your life! My friend Kacper has gone from from being a computer “geek” with baby soft hands to a full grown geodesic dome builder and the good news is he wrote a book about it! 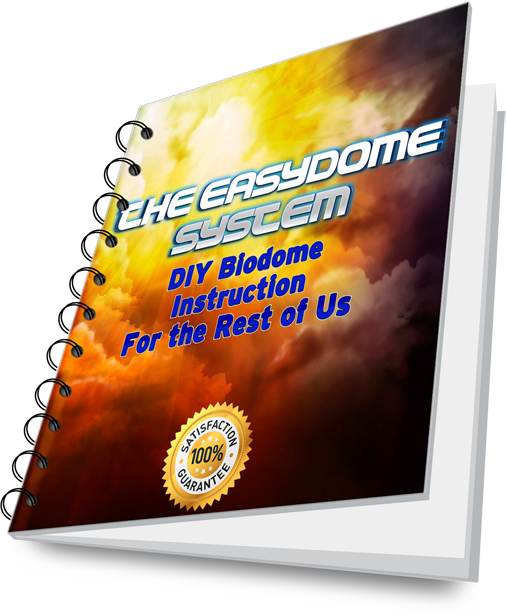 So you can learn from his mistakes, and follow along step-by-step as he shows you exactly how to build your own biodome. In fact I wrote about it here: Geodesic Greenhouse Book Review. 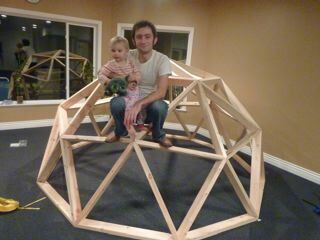 Kacper With His Daughter and the "Baby Dome"
Even if you don’t pick up a copy of Kacper’s book I guarantee you CAN build a dome. There are a few tricky parts but if you follow the steps outlined here on this site you WILL succeed! First build a paper model using rolled up newspapers to learn about the basic structure of the dome. This is a great project if you have kids too! You can follow the tutorial I posted a while back here: How to Build a Geodesic Dome Model. Once you have mastered the basic dome shape its time to think about something a bit larger like a basic pipe frame dome or a plywood/hinge dome. Don’t be afraid to mess up! This is the time for mistakes! When you are building a small dome its not nearly as big a deal if you muck up one cut or screw the wrong thing together. When you have completed your garden shed dome or kids play dome then you are ready for the big time dome project! However, as a large dome is more expensive, more permanent and a bit more complicated I strongly recommend you get an instruction manual of some kind. You can grab something from your local library, you can search around on the net and pull together the various free resources or you can grab Kacper’s book from www.biodomerevolution.com. What ever way to decide to go. I know you can do this! 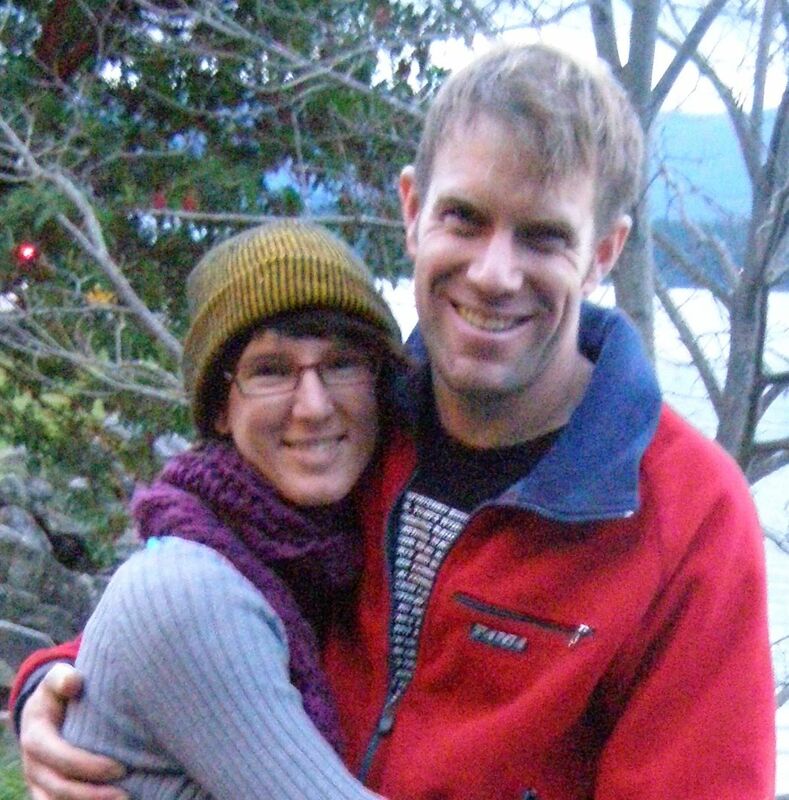 You can save a ton of money, have a some great “bragging rights” AND feed you and your family amazing, organic home grown veggies buy building your own geodesic greenhouse. Till next time happy building! This entry was posted in Geodesic Dome Construction, Uncategorized and tagged build your own greenhouse, geodesic dome, geodesic greenhouse. Bookmark the permalink.